With so much talk of diversity this year, it is a fitting time for us to ensure we create a focus on the people we rely so much on to achieve success year in, year out. As Iknowho works across the marketing industry verticals we are also excited that the award is open to Agencies, Marketing Teams and Media or Tech companies operating in the marketing communications industry. With a cross section of the industry competing for this accolade, what is it that actually defines culture? It boils down to one major influence what the leaders in the business do. The values, the manifesto, the handbook, the parties, contribute to the culture positively and/or negatively, but the actions of the organisation's leaders is what curates culture. So what will it take to win the AdNews People and Culture Award? Evidence! Evidence of how the organisation defines, lives, measures and rewards the desired behaviours to grow a beneficial environment for its people. Our main advice is to make sure you have data to back up your initiatives. What is your employment philosophy on culture? Do you have a culture manifesto? How does your leadership team lead from the front? People and Culture Award, awarding workplaces that promote a positive and stable culture. To read the full description of the new People and Culture Award go here. Get the Entry Kit here. Is your culture award winning? We’ve all known for years that a beneficial culture makes a good company great and the rewards outweigh the efforts in spades, but often the finer details can be overlooked in the business of delivering. A great culture is unique to the organisation and the right people fit is essential. Now there is a fantastic opportunity to be recognised for the culture curated in your business – or to brag about the great place you work. 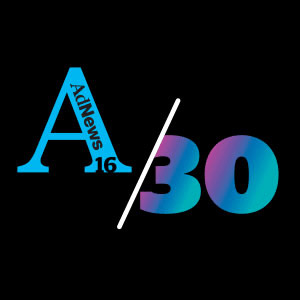 Iknowho are very proud to be joining AdNews in their 30th awards year, to launch the People and Culture Award. With so much talk of diversity this year, it is a fitting time for us to ensure we create a focus on the people we rely so much on to achieve success year in, year out.